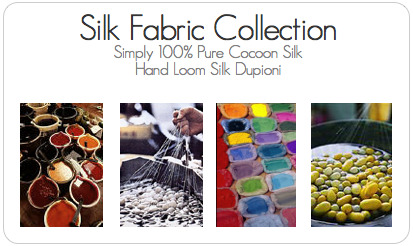 Sustainable SILK DUPIONI SOLIDS made on antique hand looms. Silk taffeta - our special Radzimer weave. Sheers and translucent Chiffons and Parachute silks. Slinky satin charmeuse in different weights and with stretch. Plaids and stripes in pure silk to decorate and create. Hand pleated basket pleats - Origami on silk. Embroidered Thai silks fit for a king. Thai silk solids to match. All items are in stock and ready to ship.